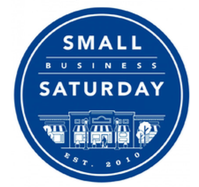 Small Business Saturday was an idea created by the credit card giant American Express on November 27, 2010. The campaign launched in order to help small businesses gain additional exposure and to change the way consumers shop within their own community during the holiday season. In 2011, the day became official when Washington State mayors, governors, senators, and President Obama shared their support for Small Business Saturday. As the day began to pick up more traction, in 2012 American Express encouraged all small business owners to take charge and promote their business. The credit card company offered small business owners free, personalized ads to spread across the web. That year, an estimated $5.5 billion was spent across the nation at independent businesses. By 2013, neighborhoods began celebrating the day, pledging support to the local businesses and organizations. Participation in Small Business Saturday continues to grow year after year. As 2015 came around the corner, more than 95 million people shopped at small businesses on Small Business Saturday, an eight percent increase from 2014. In 2015, spending reached $16.2 billion. This year, the numbers are expected to increase again as more consumers continue to care just as much about the shopping experience as the gifts that they are purchasing.